A Tonk's Tail... err, Tale...: Fences. We get OUT. MOL! Yeah that was a bit mean. Max, so literal! Think outside of the box, dude...like, seriouslies! Max is taking it literal. Lol. We love to see kittys having a discussion like this. 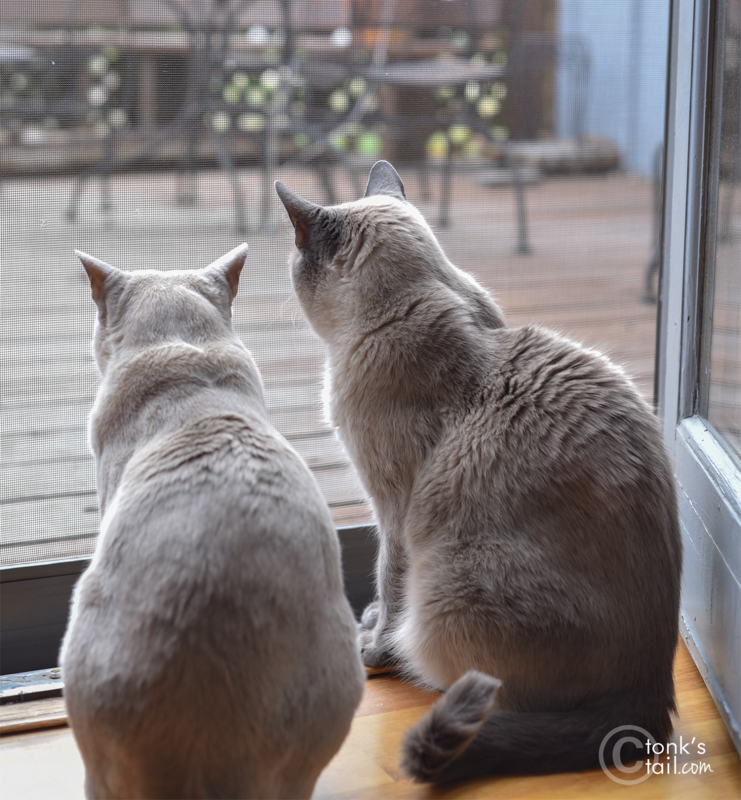 We are always wondering what they are thinking about, if they could go outside. Thanks for the share. Have a great day. Maybe the nip is greener? We'll bet you have nip somewhere to compare it to. MOL! I think Max has a point. That's actually a very good point! Faraday, Maxwell needed you to preface that with "methphorically speaking..." Is there something interesting on the other side of the screen door that you're watching? You two made us giggle!